There have been a number of burglaries and other incidents locally so the Parish Council has arranged for the Police’s Community Engagement Vehicle (CEV) to be parked in Bird Road, next to the play area, on Sunday 4th February 2018 between 10am and 3.30pm. 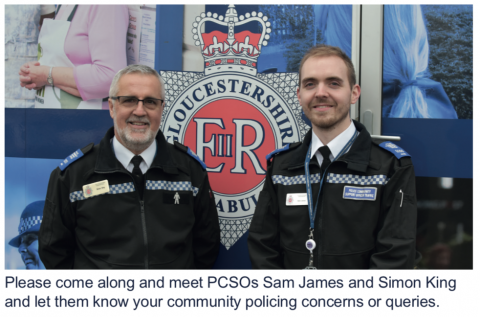 Please come and talk to the officers about neighbourhood policing and find out about crime prevention. You can also sign up to the Police’s ‘Community Alerts’ so you can be kept up to date with what is happening locally.